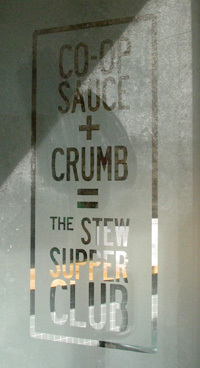 The frosted glass front of 6430 N. Clark St. says, in huge letters, "CRUMB/CO-OP SAUCE," marking it as the new home of Co-op Sauce, the line of hot sauces developed and produced by Co-op Image, the nonprofit afterschool arts and culinary education program co-founded by Mike Bancroft, as well as Crumb, the organic bread bakery run by Anne Kostroski. "Co-op Sauce has turned into its own beast," Bancroft says. "It's outgrown Co-op Image and it's definitely outgrown the garden." The business has grown tenfold over the past year, Bancroft explains, requiring him to turn to other local growers to supplement the peppers and other ingredients Co-op Image grow in their Humboldt Park community garden. Its popularity also caused him to spin Co-op Sauce into a separate for-profit company to give it more flexibility to grow moving forward. However, 50 percent of its profits still go to fund Co-op Image, and Bancroft says he's been able to hire several former and current students to work at the company. Co-op Sauce has been operating out of the kitchen at Darkroom Bar in Ukrainian Village, which was not a permanent solution. 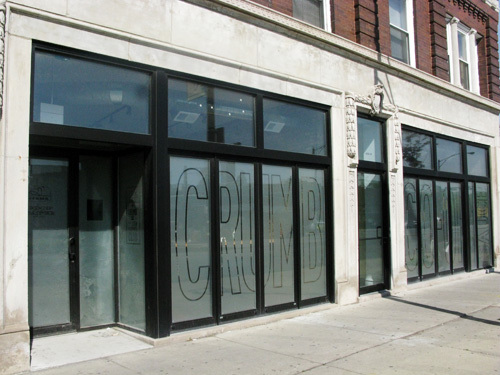 The new Rogers Park production space provides more room for the growing company -- as well as room for events, beginning with the monthly Stew Supper Club Bancroft and Kostroski run and eventually pop-up dinners by other chefs. A retail shop selling bread, hot sauces and other products will open later this summer. Bancroft says construction is complete on the new space, and they're just waiting on occupancy permits from the City. He hopes to be open by the second week in June, to be celebrated with a Stew Supper Club dinner. Keep an eye on the Facebook page -- or the schedule posted in window -- for details. The opening of Crumb/Co-op Sauce marks the closing of the book for La Donna. Tony and Antonella Barbanente, the owners of the former Andersonville Italian restaurant, sold their building to neighboring Hopleaf and purchased this property in 2008 with plans to reopen -- and then the recession hit. According to Dish, the Barbanentes are instead opening Anto Zupperia at 1547 W. Jarvis Ave. this summer. It's in Edgewater not Rogers Park.